The GUIPRS is designed to attract and support highly ranked international applicants during the University’s two annual postgraduate research scholarship rounds. This scheme extends the provision of tuition fee scholarships beyond the Department of Innovation, Industry, Science and Research allocated International Postgraduate Research Scholarships (IPRS). The GUIPRS covers tuition fees for the student and Overseas Student Health Cover (OSHC) for the student and their dependant/s. No other expenses are paid by this scheme, however award recipients may seek additional funding from alternative sources. In addition, the scheme also supports international applicants successful in gaining stipend scholarships. The GUIPRS is available to international students only. Applicants must have completed, or expect to complete, four years of higher education studies at a very high level and be intending to enroll full-time in an approved doctoral or research masters program. This scholarship is open to international applicants only. Applicants must have achieved First Class Honours or equivalent. The GUIPRS may be held for up to two years for a research masters program and up to three years for a doctoral program. A six month extension may be granted to doctoral students in certain circumstances. 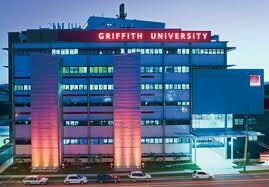 Applicants must submit the following to the Griffith Graduate Research School. Applications for the Mid-Year Round close 29 May, 2011 and 16 October, 2011 for the End-of-Year Round. Applications for scholarships may be submitted outside of these times but will not be considered until after the relevant closing dates. Applicants will receive notification of the scholarship outcome in late June and December, respectively. Students awarded scholarships as part of the end-of-year round; between 1 January and 31 March of the following year. Demikianlah informasi International Postgraduate Research Scholarships, Griffith University, Australia kami sampaikan, semoga bermanfaat.